I knit this baby sweater for a great-niece. 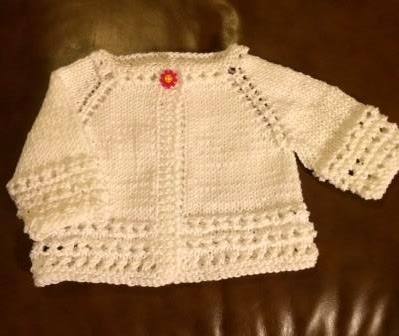 The pattern is F207 Top Down Baby Sweater by JoAnne Turcotte. The yarn is Schachenmayr original Catania Grande (100% cotton).